With its breathtaking views, stunning sunsets and rich cultural history, Grand Canyon National Park must be seen to be appreciated. At 277 river miles long, up to 18 miles wide and over a mile deep, the Grand Canyon is sure to instill a sense of wonder in all who visit. 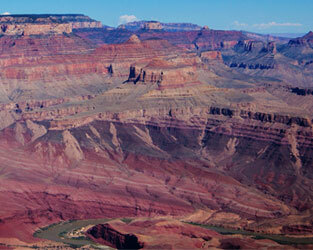 However, the Grand Canyon is more than a destination. 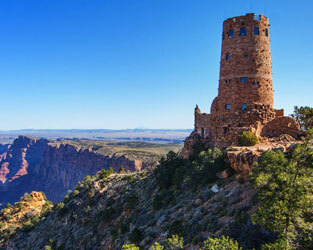 It's an all-ages experience, with lookouts at the canyon rim, tours, programs, museums, dining, shopping and more. Here, even a walk in the park will make memories that last a lifetime. 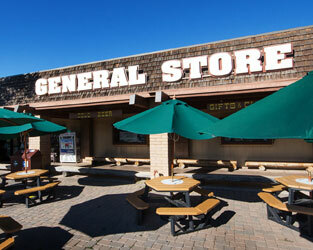 There's a reason so many visitors come to the Grand Canyon's South Rim. 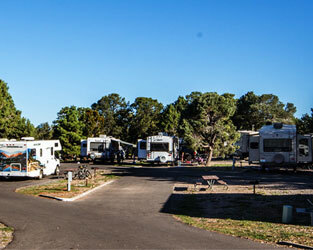 It not only offers some of the best, unobstructed views of the Grand Canyon, but also convenient lodging, dining and sightseeing. That's made it popular with families for generations. 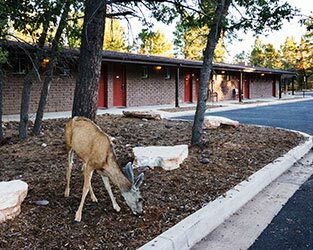 On the South Rim, you can stay close to nature without going far from the creature comforts you've come to expect. Best of all, it's open year-round.